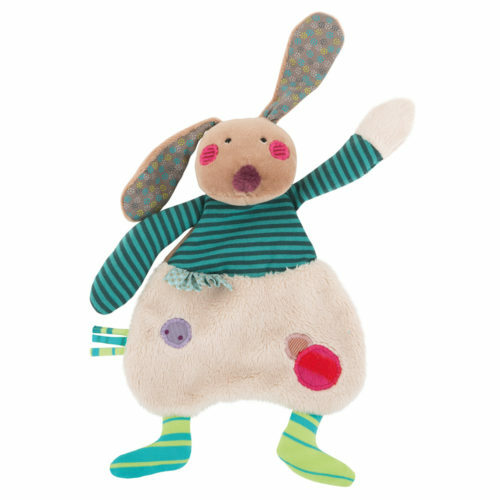 Rabbit is the latest addition to the Moulin Roty’s Les Jolis pas Beaux comforter range. 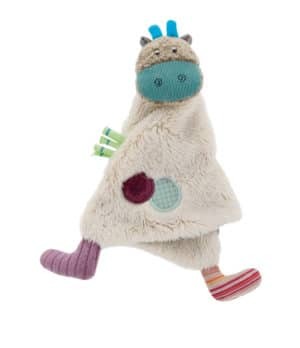 So cute, with long dangly ears and rosy red cheeks, the rabbit comforter would make a lovely friend and a great gift for a newborn or young infant. 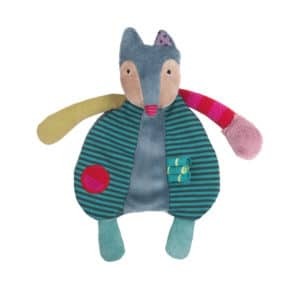 The rabbit comforter is made from a wide range of fabrics (fur, velour, jersey, knit, corduroy and cotton) providing so many different textures to explore. 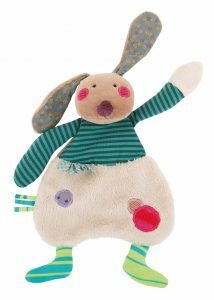 Jersey tags on his side and a cotton frill on his waistline will keep little fingers busy and facial features are embroidered for safety. 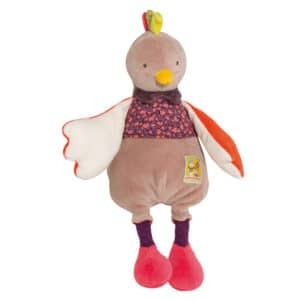 Size: 23 cm long. 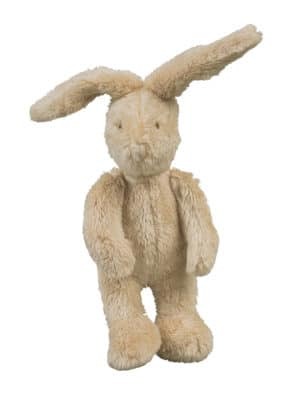 (Please note: This comforter is not a stuffed toy – the body is flat and only the head, arms and legs are filled.